An elaborate exercise for two muscle groups simultaneously: bicep and forearm. In this video fitness model and personal trainer Tyler Sarry performs his special version of hammer curls, explains the details, and demonstrates a variation for multiple sets. His enthusiasm is contagious. 19-year-old natural bodybuilder Tomas Duran goes all-out when lifting weights and sculpting his physique for the stage. And when he poses afterwards and flexes the muscles he has worked, he is completely in his element and beams with joy. You find many high quality galleries and videos of Tomas Duran here on CzechYoungMuscle. A true expert on body sculpting: Nick Cooper knows how to use the weights to build serious muscle mass and striking definition equally. And when he takes a deep breath to expand his chest and upper body, the ripped fitness model turns into a colossal muscle man. You find numerous high quality photos and videos of Nick Cooper here on AllAmericanGuys. He wrestled in high school, and it is hard to imagine that anyone has ever been able to defeat this colossal powerhouse. But Chris Mahoney is not only stunningly musclebound, the 25-year-old bodybuilder is also very smart. In this video he impressively describes his way and approach to bodybuilding, competing and modeling, and shows off his powerful physique. When Tomas Duran flexes, he is completely in his element. He smiles contentedly when looking at his lean size and his sculpted physique he has worked hard for. The 19-year-old athlete and new model on CzechYoungMuscle is a natural bodybuilder with extraordinarily many achievements at his early age: He won the silver (2011) and the bronze medal (2012) at the Czech Natural Bodybuilding Championship, he placed second at the European Natural Bodybuilding Championship (2011) and fifth at the World Natural Bodybuilding Championship (2012). These results, his physiqual achievements, and his enthusiasm indicate that his bodybuilding career has only just begun. You find many high quality galleries and videos of Tomas Duran here on CzechYoungMuscle. Stone-hard abdominals without any fat for an eye-catching beach body: This is the dream of every workout enthusiast. But profound knowledge is needed to develop an admirable sixpack and to perfect this part of the body. Top fitness model Ryan Terry, former Mr International winner, and USN sponsored athlete, knows the importance of having a great mid-section to complete the perfect physique. Here, he shares a few tips about maintaining great abs and obliques, bringing out the importance not only of proper training, but also of nutrition and diet. These are the abs that help Ryan go from working as a plumber to become one of the world's top fitness models. His massive chest is most striking, when he is shirtless. But he is far more than a muscle guy who works out regularly. 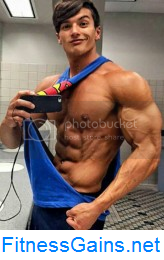 Ryan Nelson, who comes to AllAmericanGuys from the state of Pennsylvania, is an IFPA pro natural bodybuilder, a full-time college student and a personal trainer. Ryan wasn't always as buff as he looks in his professional photos. He said he started off as a skinny guy growing up and that gave him the motivation to push himself and build his physique into what it is today. Ryan is a pre-med student with some ambitious goals for both his career in the medical field and also as a fitness and physique model. He enjoys working out, traveling, exploring new cultures and being an inspiration to others. He loves being by the beach and someday hopes to move to either Florida or southern California. You find many high quality photos and videos of Ryan Nelson here on AllAmericanGuys. 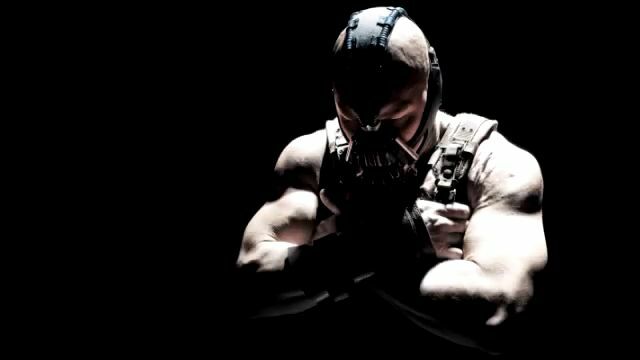 This second video features Tuan's thoughts on how Bane would train especially his back and biceps. His workout is thrilling, the effect of his training is imposing: Competitive bodybuilder Pavel Samek demonstrates how he sculpts his physique for the stage and displays the result in numerous high quality galleries and videos here on CzechYoungMuscle. The full Sledge Hammer Demolition Workout is available at http://www.GregPlitt.com. The GregPlitt.com Members Section contains 191 videos, including 55 instructional workout videos, $9.95 a month for full access. This happens when an arm workout is exceedingly effective. Then the sleeves of a tight t-shirt don't stand a chance of covering the flexed biceps. But Stefan Gatt is far more than a young, blond muscle man. He is a fitness phenomenon who establishes his reputation as a passionate athlete, a successful model, and a rising actor. You find numerous high quality photos and videos of Stefan Gatt here on AllAmericanGuys. His intense training pays off, his transformation is amazing: Jakub Haspl presents a physique with much more muscle mass, striking definition, and perfect proportions. 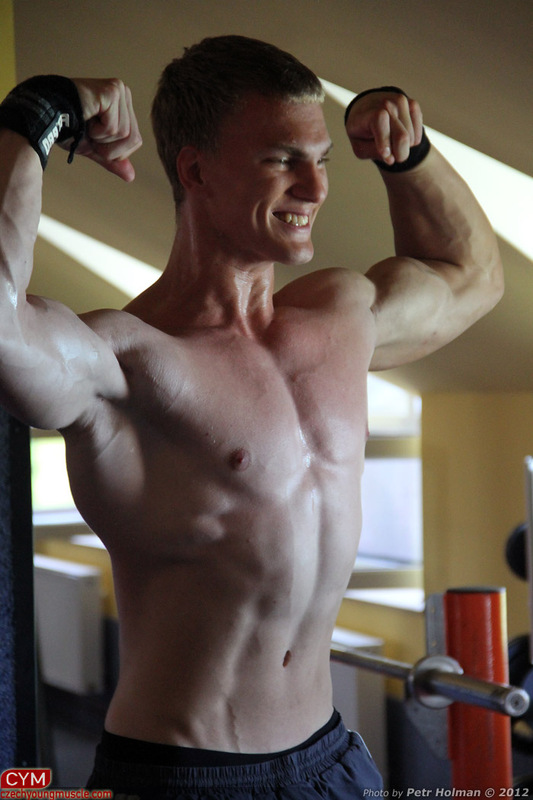 And when the young competitive bodybuilder poses and flexes, he evidently is pleased with his progress. 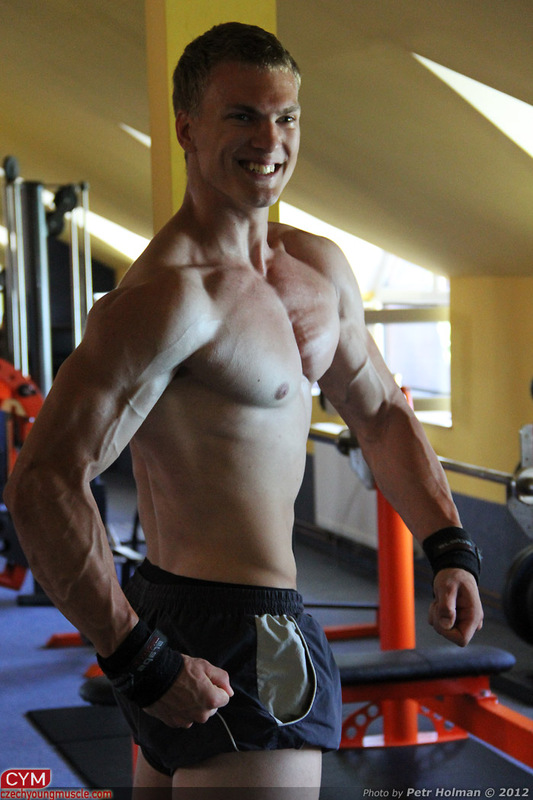 You find numerous high quality galleries and videos of Jakub Haspl here on CzechYoungMuscle. Mischa Janiec calls it humorously "The circle of death", because it is exceedingly hard, but all the more effective. It is part of his routine to build six pack abs, consists of three exercises (without a rest, three rounds), and takes five minutes. 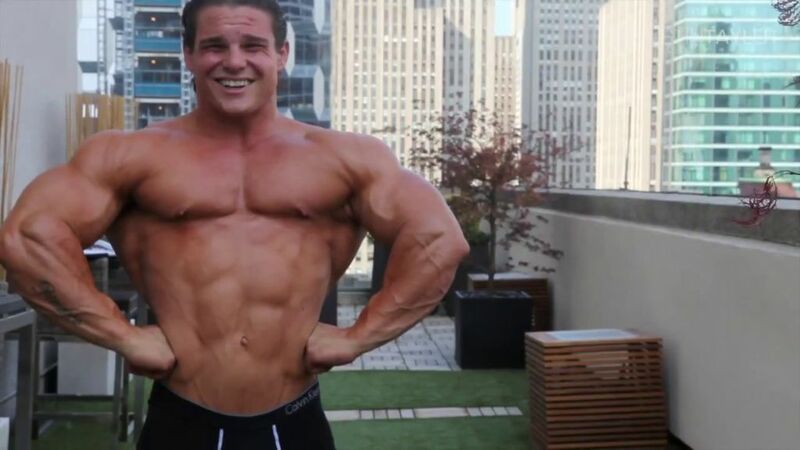 The 21-year-old Swiss natural bodybuilder says he works his abdominals only once a week, never longer than ten minutes, but very intensely, due to his "circle of death".